I was reading Success magazine and was completely inspired by this man Ingvar Kamprad. 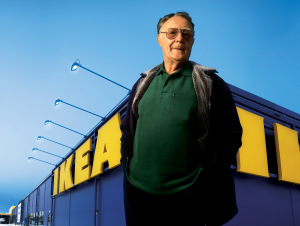 At the age of 17 he founded IKEA. The store name was derived from his name and today there are over 300 stores in 44 countries. I am sure almost everyone knows IKEA but did you know it was founded by a young teenager? This quote really puts his life into perspective. He had lots of things to do when he was 17 and now past 80 he still has the mind set for accomplishment. There is so much for us to do and discover in this world and just not enough time to do it. There is no time to be lazy in a successful environment. There is no time for dying. Ingvar had many goals in life, I have many goals in life, we all should have many goals in life. We have to write them down and we have to live up to them. The people that make a difference in our world are not sitting around watching tv, they are not playing video games, they are not gossiping over social media, they are not looking at all the negative in our world. Those who wish to make a difference and be successful are seeking out the potential in the world and themselves. They are opening books for inspiration, they are listing goals and achieving them. The reason I quoted Ingvar is my inspiration just from reading about him. I ask myself what can I do if I put everything I got into the world I live? 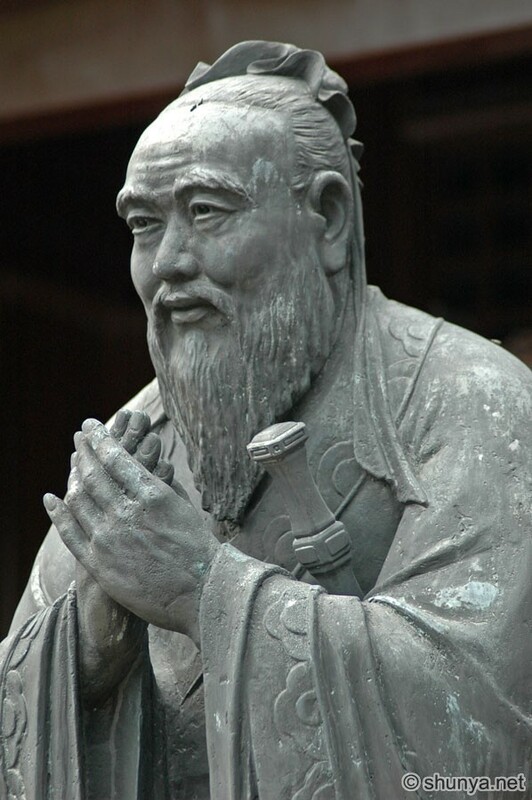 I am not any famous motivational speaker or positive thinker….yet!. I have the rest of my life to prove every day that I will be. I have my goals to move forward a little at a time I achieve them and just make new ones. I came from a darker past where all I wanted to do was die. Today I literally have no time for dying. There is too much to learn to much to discover and to many people that need inspiration (including myself). Life is full of great things. No matter if you are 17, 33, or 80 give your life purpose. There are lots of things to do and lots of things to discover. You owe it to yourself to find everything you can. Have a great weekend and week ahead. Next week I will not be posting, I will be out of town for the holidays. Please, please, please share my blog with your friends. Thank you so much. After the Reiki Healing session I was super crazy relaxed. It was hard to even get up. We sat down and chatted a bit more and I asked a few more questions. One of the crystals that was next to me caught my eye and I asked what it was. She told me it was a Himalayan Salt Rock crystal. It naturally purifies the air and spiritually it releases all the negativity in you and the rooms that it is in. Given myquest for positivism, naturally I am open ears and open minded to anything that will steer me in a positive direction. We also talked about a variety of incense that release negativity and provide a calming or relaxing effect. Shortly after our conversation I headed home. I had to literally question myself if I was too relaxed to drive. Is that possible? I never thought that being too relaxed would ever be an issue while driving. I chatted with the friends I live with and there guest for a little when I got home. While I was talking and listening I could feel this overwhelming sense of positivism. It was great but I wondered how long it was going to last. I woke up the next day feeling utterly refreshed. I was still feeling the Reiki cleansing all through my body. Felt like I sleep for hours, it was like a full body reboot. All that accompanied with my birthday and social plans for the evening, I felt like a kid in a candy store reaching into all the assorted bins and just eating everything. I was feeding off this positivism. It was reaching past levels of happiness that I have never felt before. It had reached beyond amazing. Of course I had to go to work but that was a piece of cake. My efficiency levels were way up too. Everything positive about my life was culminating as one and it was even hard to believe this for myself. All day I was thinking about those Himalayan Salt Rocks. I had to have them! I found a crystal healing store right by my work, so on my lunch I did a little good karma shopping. I went overboard buying my Himalayan crystals, Himalayan salt lamp, and many incense. With the ultra positive and happy feelings I was experiencing, when I walked into that gift shop It was like walking into another world. It balanced me out. I think the positivism was simply overwhelming because it was a brand new level of feelings for me. Being in that shop pretty much gave me better control of all of these awesome feelings. Back to work and then my birthday was amazing. Now, usually the day after a really amazing day I will feel a little down but that was not the case at all this time. I couldn’t even chisel the smile off my face if I had to that day! Back to current time it has been almost 2 weeks and still this new existence of positivism within me remains. Entertaining my skeptical side I have even tried to be negative, I have tried to bring myself down and it does not work. I still come out positive. Everything in my thoughts has been so clean. I have been able to think about and except things for what they are. I have been able to distance myself from negative influences even more, and bring the positive ones closer. This whole Reiki experience has put my future closer to the present and settled my thoughts that used to just take over my head. I understand that everyone has a different reaction to the healing so I am so grateful for this wave of positivism and happiness that seems endless. Endless happiness….that should be what we all strive for. We should experience as many things as we can in life and really tune in and learn from the things that effect us positively. Positivism is hard to hold on to sometimes so the more we have within us the easier the hard parts of our life will be. I would certainly recommend Reiki for anyone that is curious about it. For those that don’t believe in these kinds of healing may not be reading anymore but there are plenty of other things on your mind that you want to try I guarantee. Bring your thoughts to reality, you really have nothing to lose by trying everything. Everyday sense my Reiki healing I have had a piece of Himalayan Salt Rock in my pocket and in my car and in my room. It effects my not work for everyone but if you don’t have faith in the things you try in life none of it will ever work. Believe in everything you choose to try in life, and be more confident in yourself, only then will you be able to live a positive life. An introduction of meditated silence can introduce Gautama Buddha into our lives. You don’t have to believe him and you don’t have to follow him, right now you just have to read the words upon this page and believe whatever it is that your mind is telling you at this moment. You were not brought to this earth to do bad to others or yourself. Through human evolution we hope to continue to discover the nuances of our existence. When it is your time to leave this world can you fill your head with gratitude? Can you say your life was full of amazing things? Your work from the moment you are born is to discover yourself, your surroundings and your work. Embrace and love every discovery you make and every new thing you see. When you find your life’s passion give every ounce of your being to it. No matter if you were meant to start a family, be a corporate genius, travel the world, or simply be a representative for a more positive future for all; we all have a job to do. Discover what it is you were meant to pursue and go after it till your last breath. My Friend Jake M. found this song for me. I think it is very fitting to take 5 minutes and play this song. While listening think about what your work is, and think about what you are going to do to go after it! Have a great weekend everyone. Thank you so much for your followings and shares. For those of you who would prefer the shorter version, well, my Reiki experience was AMAZING! DONE! For those that would like a little more detail here we go! Starting off I refrained from doing much research on the subject of Reiki Healing. I wanting to go into the experience with a curious mind instead of a expectant mind. I Am so glad I did, I don’t know that I could have had the experience that I did had I known to much about it beforehand. I got plenty of rest and tried to keep myself calm throughout the work day. you could say I pre-gamed for it, ha! This is not hard to do because I know and do my job well and my boss is amazing. I went for my Reiki Healing right after work. I arrived to Carols with an open door and before I could even step inside the beautiful aroma of incense had flooded my senses. I absolutely love incense. Hugs were exchanged immediately and I was guided into her fragrant Reiki Healing sanctuary of crystals and spiritual keep sakes. We sat down and first she did a card reading. It is really amazing how spot on she can be with minimal information. For those of you who don’t know me I am not easily fooled so her accuracy is quite astonishing. It is easy to see Carol has great passion for what she does. She really put into perspective, the life path I am taking, what I am doing well and what I need to work on. I have a great knack for positivism but the thing I still need to build on is my confidence. Every post I make, every quotes I come up with, every person I met and talk to is one step closer to better confidence in myself. I am grateful to know that I am on the right track. The tarot card reading has put me in a calm and open minded mode as I am sure it is intended to do. Now begins the Reiki Healing process. I lay down on the table. I am asking many questions throughout which she certainly enjoyed answering. The lights are dim, the table bed was warm, there is meditation music in the background the incense are still glorious. She is giving minimal instructions just to the effect of what she will or will not be doing, as well as saying she may talk or may stay quiet. I asked if I could close my eyes and she was perfectly fine with that. I wanted to close my eyes because I believe it would allow me to have a fuller and truer experience. I did not want my psychological eye to be persuaded by her actions. Needless to say my eyes are closed and I don’t know exactly where she is or what she was doing. The mystery of it was exhilarating in itself. Even when she made contact with me physically I could hardly tell and I am sure some of it I may have been unaware of in my relaxed state. All of the sudden I feel a tingling sensation from my waste to my toes. This was no ordinary feeling. It felt as though every cell of my body in the lower half was experiencing this unique tingle. Like a low electrical current. Keep in mind there was nothing resting on me, she was not touching me at the time and I was not given anything but these meditation crystals to hold in either hand. This feeling was passing as she proceeded. Then I could feel my stomach started to knot up for some reason so she began to open up the energy flow in my stomach and you literally could feel the knots untying in my stomach, this was nuts! During this I still had my eyes closed. You know when you close your eyes you see nothing right? It is all black or it is whatever you imagined it to be. Well I was still relaxing and amazingly the thoughts have been drained from my head. For me a mind void of thought is a rare treat. I began to see vivid colors roll across my eyes one at a time. This was amazing, the most vibrant of these colors was blue and then Light green. Never seen or visualized anything like this. To fully explain this to you would be impossible. You really would have had to taken residence in my eye sockets and seen it for yourself. She did one final extraction of negative energy all the way around my body. This party you could feel but I was already in a Reiki relaxed trance at this point anyways. After the healing was done I was super crazy relaxed. It was hard to even get up. We sat down shortly after and chatted a bit more and I asked a few more questions. I don’t know how effective cliffhangers are in the early stages of my blogging experience but Carol answered my questions and the days following Reiki was an astounding experience unmatched by anything I have ever felt previously. Please stay tuned follow my blog and share it with your friends. Next Wed. I will explain my journey after Reiki. Do you have a Reiki experience to share? From my understanding people can have very different experiences. I would love to hear others. I hope everyone has a super relaxing day. If this sounds like something you would like to experience for yourself this is were I went. Crystalranch11.com 630-551-6965 Carol Rushton Reiki Master/Teacher St Charles IL. Even Carol is already excited to hear part 2 of this blob! I very well could have used the Golden Rule to talk about today, as it is a spectacular rule but I find myself relating to this other quote a little more today. The quote is pretty straight forward. You need to make time to read, or ignorance will take over. Reading is so important in our lives. The more you read the more you know. The more insightful you can be. Reading is where your new creative ideas will come from. You can learn so much from what you are reading and so much about yourself in the process. Now what you read is up to you. Novels, Non-Fiction, Magazines, News articles; you can read any number of things but to make more time for it you just have to do it. You have to find something you enjoy reading and build a routine with it. Read in the morning, read in the evening, read on your breaks at work or anytime. The success you will find in your life from reading will be immeasurable to anything else. If you do not already have something you read regularly, I suggest you go to the library and start to find something that inspires you. Everyday,Start, Continue, and never finish reading. Last year I did a birthday post about being grateful for your birthday, feel free to check that out as well. (Be Grateful For Your Birthday). This year I would like to express the importance of having a birthday gathering. Some people don’t like their birthdays for a number of reason. Some people love their birthdays. Some people will celebrate the day of, some will celebrate the week of and some will celebrate the whole month. Some will even celebrate their unbirthays year round! Birthday’s are not about getting older. We get older every minute of our lives, but we also get smarter and experience more. We judge our age by birthdays but for some it is mostly just a guide line. I am 32 going on 33 this Friday and I certainly don’t look or feel that old. My dad has been 29 for 37 years. When his youngest (me) hit 30 that was a proud moment for him, he is now younger than all of his children! He may be in his 60’s but he has keep his spirit very youthful for many years. We all wish to stay young or reminisce about when we were younger and we can do both. I have an important message for those that do not like their birthdays. Birthday gatherings are so important in our lives. Your birthday is an excuse to bring those important to you, together. Can you think of a more positive experience then getting together with friends and family in honor of you? As we get older responsibilities in our lives start stacking higher and higher. We get busier and busier with our lives. A birthday is a simple means to bring us together again with those close to you. When your birthday comes around again don’t just sit home and be a bum, invite everyone out to do something together. It does not matter if it is a well planned evening, a house party or just a last minute night out. Get out there and celebrate your birthday with the ones you love. Take that opportunity to see those you care about that you do not see that often. I used to be one of those people that did not enjoy birthdays. They were never really anything special to me. Now I have a much different view. Just like anything else in life a birthday is what YOU make of it. You want a good birthday, make it a good birthday! I hope you are looking forward to your birthday, I know I am looking forward to mine!